Wonderful Updated 4 bed ranch home! Convenient location! Brick, low maintenance exterior. Backs to greenbelt, no back neighbor! 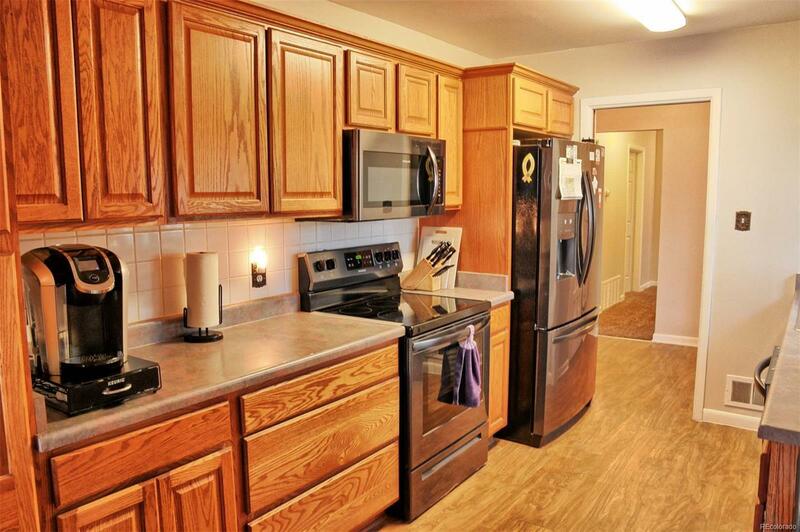 Nice kitchen with new SS appliances & hardwood floors. Master bedroom with all new master bath! Newer windows throughout, enlarged windows on south side of house, lots of light! New interior paint, new roof, new hot water heater, lots of upgrades.Oversized attached 2 car garage with newer door and coated garage floor. Spacious back yard complete with big patio, shed, lots of trees, new fence, and lots of space. Central A/C and living room fireplace. Solar installed! Check it out today!